Roshan Paul has spent his life questioning the status quo, and has built a career around connecting global citizens to solve social problems across boundaries. He co-founded the Amani Institute, a new model of higher education that develops people who seek careers of meaning and impact, with these values in mind. The seeds of Amani were cultivated while Roshan worked with Ashoka for a decade, where he designed and launched five new programs and managed two other global projects. These included Ashoka’s Peace Initiative (supporting social entrepreneurs in conflict zones) and the Globalizer program (helping social entrepreneurs scale up their innovations). 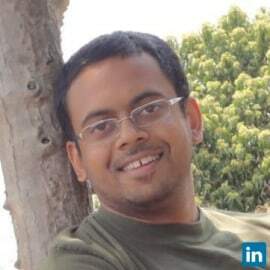 Raised in Bangalore, India, Roshan has a Master’s in Public Policy from the Harvard Kennedy School, a Bachelor’s in International Political Economy from Davidson College (a degree he self-designed), and a certificate in Creative Leadership as one of the founding participants of The Amsterdam School for Creative Leadership. He has guest-lectured at over twenty universities in the United States and Europe, including Harvard, Georgetown, Johns Hopkins SAIS, and HEC Business School Paris, and is currently a member of the World Economic Forum (WEF) Global Future Council on Behavioral Science. He delivered the Commencement (graduation) speech at the University of San Diego in May 2015 and a TEDx talk at TEDxAmsterdamEd in April 2016. His writing has been published in Forbes, the Stanford Social Innovation Review, MIT’s Innovations Journal, India Today, as well as in the recent book, Dream of a Nation.